Resource center Rehab for Opiate Abuse What Are the Dangers of Opiate Addiction and Pregnancy? Opioid addiction is one of the biggest public health concerns in America, and the scope at which it has struck varying demographics and populations has redefined our understanding of addiction. Among the most vulnerable victims of the epidemic have been pregnant women and their unborn and newly born babies. The dangers of opiate addiction and pregnancy highlight the risks of a new epidemic threatening America’s children and their mothers. Pregnant women taking opioids during their pregnancies is a big problem, says the Centers for Disease Control. Many women who do so many not know they are pregnant at the time, but this nonetheless endangers their growing fetuses. The CDC found that at least 33 percent of women of childbearing age (15–44) in the Medicaid program, and 25 percent of women of that age with private insurance, received prescription opioids every year between 2008 and 2012. This has made doctors and public health experts very worried because almost half of the pregnancies among American women are unplanned, and taking prescription opioids during the early stages of pregnancy can cause birth defects. Speaking to NBC News, obstetricians and neonatal doctors said that many of their patients were on prescriptions for household opioids, like Vicodin or Percocet, after becoming pregnant. Some women had developed a psychological dependence on the drugs and were incapable of stopping their intake. 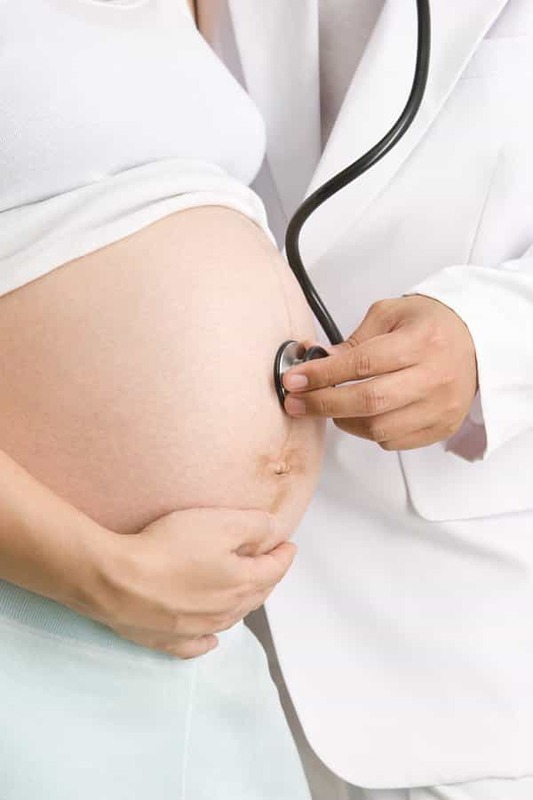 Patients tend to not schedule their first prenatal care appointment until late into their first trimester or early into the second; by that point, the risk of birth defects might have passed, but the fetus is still in danger of experiencing neonatal withdrawal. Dr. Neil Seligman, an associate professor of obstetrics and gynecology at the University of Rochester Medical Center, explained that birth defects have a high chance of happening when opioids and other specific medications are taken between the fourth and tenth weeks of pregnancy; beyond that point, the conversation should be around what happens as the fetus goes through withdrawal. When it comes to chronic prescription opioid use by pregnant women, there is not much data on how likely it is that the fetus will go through withdrawal. However, the data exists for heroin users; as many as 70 percent of newborns born to mothers who are active heroin users require treatment for withdrawal. It could take a month to stabilize babies born in this condition, but with proper management, there are no known long-term consequences for the child. The Centers for Disease Control’s report focused on women who abuse opioids for considerable periods of time. For women who need a minor prescription, there is little medical concern. A single prescription for acute pain, such as for a kidney stone, poses negligible risk to mother and child; nonetheless, the risk threshold during pregnancy is much higher for any medical intervention, no matter how benign. 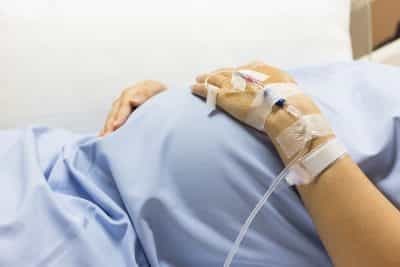 Some women might have acute pain that requires the use of strong medication, and they may be understandably concerned about using potentially addictive and harmful medication during their pregnancy. The American College of Obstetricians and Gynecology suggests that opioids are still acceptable during pregnancy (compared to cocaine or alcohol, of which no amounts are safe), but only in minimal doses and as a last resort if alternate methods of pain management, like exercise, physical therapy, nonopioid medications, and even alternative medicine, prove ineffective. If a woman has to take opioids to cope with chronic pain during her pregnancy, she will likely be advised to take the lightest possible dose for the shortest possible period of time. 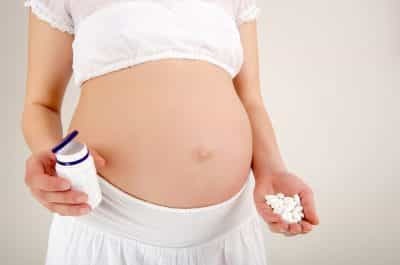 A woman of childbearing age who is pregnant, or who hopes to become pregnant, should be fully advised of the dangers of even the most innocuous of prescriptions during preconception consultation with a specialist in maternal-fetal medicine. In 2017, the American College of Obstetricians and Gynecologists (ACOG) and the American Society on Addiction Medicine released a committee opinion that stated that as the rate of opioid abuse has increased in the general population, it has also gone up in pregnancy. Women of all racial, ethnic, and socioeconomic population groups abuse substances, and patients who use opioids during their pregnancies come from many different backgrounds. ACOG called for healthcare providers to treat patients based on the context of the opioid use; for example, whether the consumption of opioids was due to medical care, abuse of opioids, or untreated opioid use disorder. The treatment should be multidisciplinary (involving therapy, medication-assisted treatment, and family counseling), and babies born to women who used opioids during pregnancy should be watched for neonatal abstinence syndrome by a provider who specializes in pediatric care. Expectant mothers themselves should receive early and universal screening, interventions (if necessary), and referrals for treatment. Put together, a “coordinated multidisciplinary approach,” without any presence of criminal proceedings, offers women, their infants, and their families the best chances of addressing, preventing, and otherwise treating the dangers of opioid abuse during pregnancy. March of Dimes, the nonprofit organization centered on preventing birth defects, premature births, and infant mortality, explained that opioid use during pregnancy can cause severe problems during and pregnancy and after birth. Fetal development could be delayed. Placental material could be damaged. Blood flow to the placenta could be damaged. It might induce abnormal uterine contractions, also known as abnormal labor. It is even possible for the fetus to be exposed to opioids through the umbilical cord, which can happen when the opioids are absorbed through the placental membrane. The nature of the damage to the fetus depends on many factors. One of them is the stage of development. The stages are measured in weeks, starting from the first day of the woman’s last menstrual period (about two weeks before conception takes place) and culminating with delivery. During the first trimester, organ development takes place in the fetus; this is when there is the greatest risk of birth defects as a result of opioid use. If a woman is an opioid user during her pregnancy, she might be tested for sexually transmitted diseases and other infectious diseases, especially if the opioid addiction covers intravenous drug use. She might also be screened for depression, anxiety, and suicidal ideation, among other behavioral conditions. A doctor will also assess whether the mother is using other substances or if there has been other forms of substance abuse in the past. It is important that pregnant women who are addicted to opioids be referred to specialists who are trained in prenatal and postnatal care, substance abuse treatment, and other mental health and medical issues that arise from childbirth, addiction, and the combination thereof. The National Institute on Drug Abuse further warns that heroin abuse during pregnancy can cause neonatal abstinence syndrome, or NAS. This takes place when heroin passes through the placenta and to the fetus, which triggers an instantaneous physical dependence on the heroin or other similar opioids. When the baby is born, the lack of heroin will cause withdrawal symptoms similar to those that adult addicts experience, such as fever and seizures, but with additional symptoms that are unique to NAS and very dangerous to an infant. Specifically, they might be born with an undeveloped sucking reflex, which inhibits breastfeeding and starves them of vital nutrients and bonding time with their mother. In Colorado, where the number of newborns with NAS jumped 83 percent between 2010 and 2015, one baby avoided having to go into opioid replacement therapy because her mother had discontinued her own addiction before childbirth; nonetheless, the child struggled with an elevated temperature and loose stools after birth. Babies born with NAS can also experience vomiting and excessive crying; death is not impossible. They require immediate hospitalization and medication-assisted treatment with morphine to relieve the symptoms. In time, the morphine can be eased off to the point where the child is no longer physically dependent on opioids. However, long-term methadone care, as well as specialized prenatal care and drug treatment program, may be necessary for both mother and child to overcome any lingering effects of the untreated heroin use disorder. The methadone therapy does not come without its own price tag. Children who were developed while their mothers were on methadone therapy are at risk for developing hyperactivity and attention deficit disorder, and they might go on to have attention deficit hyperactivity disorder as an adult. Other factors include the nature of the opioid, and the frequency and potency of the doses. High-toxicity opioids, such as heroin or fentanyl, can cause miscarriages within the first eight weeks of pregnancy. The American Pregnancy Association further notes that women who use heroin during their pregnancies expose their unborn babies to other problems. Some of these conditions have knock-on effects. For example, a baby born less than 5 lbs. 8 oz. (the cutoff point for a low birthweight) is at risk for more health issues, such as heart failure, intestinal damage, and problems with vision to the point of losing sight entirely. Many adults who were born underweight can develop heart disease, hypertension and type 2 diabetes later in life. 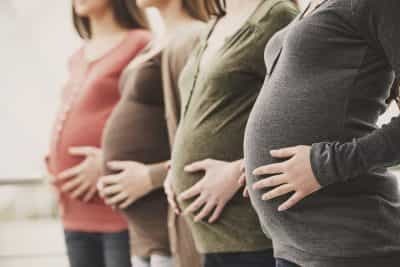 Women who are addicted to heroin and other opioids while pregnant are also more likely to have a diet, lifestyle, and level of prenatal care that are insufficient or downright unhealthy for expectant mothers compared to similar women who do not have an opioid use disorder. Having poor nutrition or care can damage the immune function of both mother and child, and delay cognitive development in the child. In a worst-case scenario, a child can be born with behavioral disorders without the right nutrition, and a lack of adequate natal care can lead to relatively straightforward health concerns spiraling into serious health problems. A woman who is pregnant and positive for opioid addiction will most likely be given an opioid substitute medication, such as methadone. The administration of milder, slow-acting opioids will allow the mother to wean off the stronger opioids she was taking, with the idea of bringing the substitute medication down to as minimal use as possible. Women in this situation should also receive counseling and behavioral therapy. In combination, these methods will help the mother avoid or minimize withdrawal symptoms, reduce the possibility of relapse, and improve lifestyle and behavior for more conducive parenting and long-term recovery. Brico writes that methadone therapy helped her stay off heroin, but the baby girl she delivered was “curled into herself, sweating and shaking.” The baby cried constantly, refusing to feed, her skin yellow with jaundice. Upon delivery, Brico was not allowed to hold her child; the girl was instantly taken to the neonatal intensive care unit where she was put on morphine therapy. Infants who are born with severe withdrawal are given small doses of oral morphine, which is slowly tapered off until the baby no longer needs opioids. Brico’s daughter was in intensive care for six weeks. Writing in retrospect, Brico said that the methadone intervention saved her daughter’s life. Breastfeeding is one of the most important components of bonding between a new mother and her infant child. The nutrients in milk help construct the baby’s immunity to protect it from infections, and the hormones produced help the mother heal after the ordeal of delivery. For mothers who are addicted to opioids during their pregnancy, and the babies suffering from neonatal abstinence syndrome, breastfeeding takes on added dimensions. In general, breastfeeding is still good for recovering mothers and their infants. Babies born into withdrawal will benefit from the contents of breastmilk, which will help make the effects of withdrawal less severe. Women taking prescription opioids (for pain relief, for example) should consult with doctors before feeding. 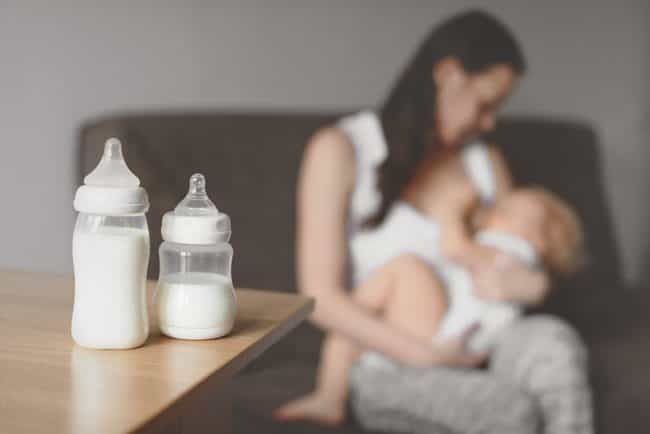 Some opioid molecules, such as those found in codeine, hydrocodone, and oxycodone, can be passed on in breastmilk, and they can be life-threatening to a baby. Ibuprofen or acetaminophen is generally safe to use when breastfeeding, but this should be run past a healthcare provider first. The mother’s health is stable, and she is no longer abusing opioids or other substances. There are no sexually transmitted or bloodborne diseases (like HIV or hepatitis) that are related to the opioid abuse. The mother’s participation in the treatment program is regular, frequent, and monitored by a doctor or caseworker. The mother has a support group of friends, family, and recovery partners to provide emotional encouragement. The baby gains weight and develops appropriately throughout the breastfeeding process. In 2018, the Boston Globe wrote of how new mothers trying to leave behind their addictions for the sake of their young families face a perilous journey. One woman profiled by the Globe gave birth to her daughter after entering treatment for addiction to fentanyl. There were no complications with the birth, but the postpartum period was where she struggled the most. Postpartum depression is a serious condition for all women, but for those who have opioid use disorder, the temptation to go back to their opioids to cope with the insomnia, irritability, and despair is particularly damaging, especially given the general physical, mental, and emotional vulnerability they are feeling so soon after giving birth. The Executive Office of Health and Human Services in Massachusetts found that 40 percent of deaths among women who had a baby between 2011 and 2015 were attributable to opioid overdoses. Among women who did not give birth, it was only 20 percent. To combat this, Boston Medical Center established a special clinic (Recovery, Empowerment, Social services, Prenatal care, Education, Community and Treatment, or Project RESPECT) for pregnant and addicted women. The staff at the clinic help the women safely withdraw from the opioid use, and data has shown that that support has led to overdose deaths dropping in the second and third trimesters. In response, Boston Medical Center launched a new clinic, called Support Our Families through Addiction and Recovery, or SOFAR, which is intended to take over from where Project RESPECT ends. SOFAR is operated with the idea of taking care of mother and baby simultaneously. To this end, it is staffed with therapists, pediatricians, social workers, and internists. A new mother in recovery will receive medication-assisted treatment to help her with her cravings for opioids while her child will receive care and attention when she needs to rest. As much as possible, mothers are the people who provide the primary caregiving; nurses are still on hand to step in when required, but the mothers change diapers, rock their babies to sleep, and sing them lullabies. 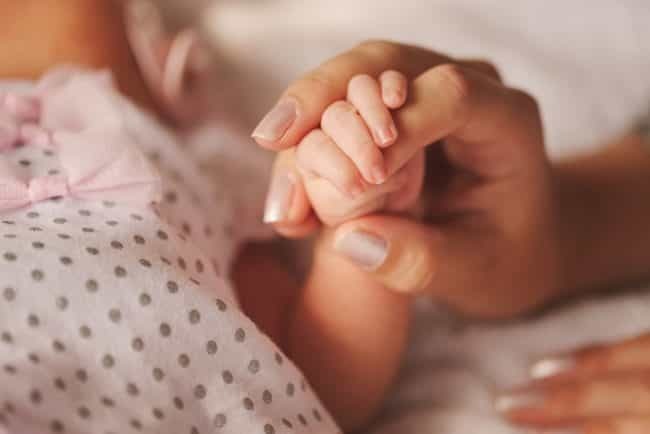 In Canada, which has also been struck by the opioid epidemic, statistics from hospitals across Ontario show that infants who stay with their mothers after delivery have fewer and less severe withdrawal symptoms. The Canadian Family Physician journal writes that at Kingston General Hospital, more than 80 percent of babies in danger of neonatal abstinence syndrome need morphine before entering into specialized programs, but less than 10 percent of the affected babies who stay with their mothers end up needing it. In the past, babies exposed to opioids would have to spend 25 days in hospital; now, the average stay is just eight days. The bond between mother and child is solidified, and healthcare costs are reduced compared to hospitals where this program is not available. A similar program exists in Greenville, Michigan, where pregnant and new mothers battling opioid addiction can receive medication-assisted treatment and ultrasounds, and visits from a certified midwife and doctor. They also receive counseling services at the same time. Ensuring that the full approach is delivered concurrently helps mothers (many of them single, with minimal family or help at home) stay up to date with their appointments. The results are encouraging. Women who are in SOFAR and other similar programs enjoy long periods of sobriety, with the knowledge that their baby will be well-cared for when they are unable to be present. The programs represent a growing understanding that babies born into addiction need their mothers more than they need morphine, according to Today’s Parent. Outside of those clinics, however, new mothers in recovery fear that they will lose their child to the Department of Children and Families. The separation can cause intense trauma; 70 percent of women have a serious mental illness, either as a cause or exacerbation of struggling with addiction and seeing their child taken from them. Even mothers with success stories have to endure an overwhelming amount of judgment from the people around them. Elizabeth Brico, who wrote of her heroin addiction during her pregnancy for Voxmagazine, said that addiction stigma pervaded every step of her journey. Neonatal intensive care unit nurses refused to let her hold her own daughter, one of them going so far as to call Child Protective Services to stop her. Brico was not allowed to breastfeed her daughter, even though the amount of methadone present in breastmilk is negligible. Young mothers in this situation usually do not have helpful partners or conducive living situations, so they are expected to get their addiction medication, attend counseling or therapy sessions, and take their baby to a pediatrician all on their own while still coping with the opioid addiction. Some women have to deal with drug use, violence, or abuse at home; 60 percent of mothers with opioid addictions are homeless. The director of SOFAR told the Globe that one baby had lived in four different places by the time she was only 5 months old. Babies who are taken away from their mothers are placed into a foster care system that is “flooded with the children of the opioid epidemic,” in the words of NPR. In Indiana, for example, there were 2,500 children in foster care in 2014; in 2017, there were 5,500 kids needing homes. The law requires that child welfare agencies try to reunify children with their parents, but this is almost impossible in the cases of parents who relapse, and who do not have access to the specialized services like Project SOFAR to help them get their lives back together. The numbers are up across the country. The New York Times writes that the number of children in Montana’s foster care program has doubled between 2010 and 2017. In West Virginia, it increased by 45 percent, and in Georgia, by 80 percent. In Tennessee, some children have had to sleep at the state’s Department of Children’s Services offices because officials have not been able to find a new home for them. The longer the children are in foster care, the bleaker their future prospects. They are overwhelmingly more likely to abuse drugs themselves, more likely to spend time in the juvenile justice system, and have a higher chance of experiencing homelessness as an adult. Black children are twice as likely as their white counterparts to be placed in the foster system, even though black and white families are similarly vulnerable. Pregnant women face many challenges in terms of lifestyle and social pressures. Such conditions exist even after delivery, which speaks at the heart of why so many women experience postpartum depression. With so much care and attention being given to their newborn, they are left feeling abandoned and forgotten. For women fighting the battle of opioid addiction, the mental and physical challenges of pregnancy are magnified. However, for all the pressure, expectation, and stigma attached to a woman carrying a baby, the child’s wellbeing is almost entirely dependent on the mother’s, even more so if the mother is fighting an opioid addiction. Supporting the mother during and after her pregnancy, with a complete complement of care, creates the best possible circumstances for the long-term wellbeing of both mother and infant.